The stretch of West Florissant Avenue where most of the protests have taken place is easy to spot. Three T's Beauty Salon didn't suffer broken windows or looting, but owner Triondus Sleet put plywood up as a precaution. 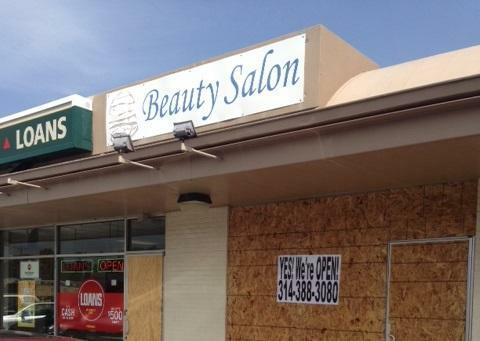 Most of the businesses’ windows are covered in plywood, including at Three T’s Beauty Salon. When a couple of credit union officials came in offering to help with the damage, owner Triondus Sleet explained she “pre-boarded” because she had to leave town for a few days. "No, I’m fine," she told the men. "So, you didn’t have any issues at all? Well, if you do, stop by," one of the men said. Even though there was no looting at her place of business, Sleet said the violence and protests are hurting business. "It’s scaring people away," she said. "People don’t want to come over here. So yeah, I’m barely open." Across the street at the cell phone store, Metro PCS, the door was propped open, but the business remained closed. Manager Dwayne Rodgers was there waiting for the glass replacement repairman to arrive. The store was hit in the very first night of looting. 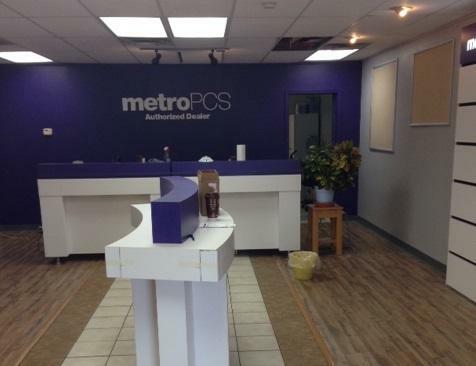 The cell phone store Metro PCS is completely empty after being looted the night after Michael Brown was shot by a Ferguson police officer. "You see they broke in and took 50 phones or more, some worth $800 to $900," Rodgers said. He estimated the damage is about $10,000 and the store’s insurance will only cover the damage, not the stolen phones. He said he's hopeful looters will activate some of the phones, so they can be tracked down. As he talked about the events of the last two weeks, Rodgers dabbed at his eyes with a towel now and then. "But it's just sad the way things going on now. None of this had nothing to do with this child, breaking into these stores," Rodgers said. "Now, I heard yesterday that people breaking in are not from here. There’s from Illinois, down in the city, nowhere from here. It’s sad." Not every business is hurting. The Ferguson Burger Bar has stayed open throughout the protests, serving demonstrators, reporters as well as local residents. Ferguson Burger Bar has done a brisk business with demonstrators and reporters during the protests. 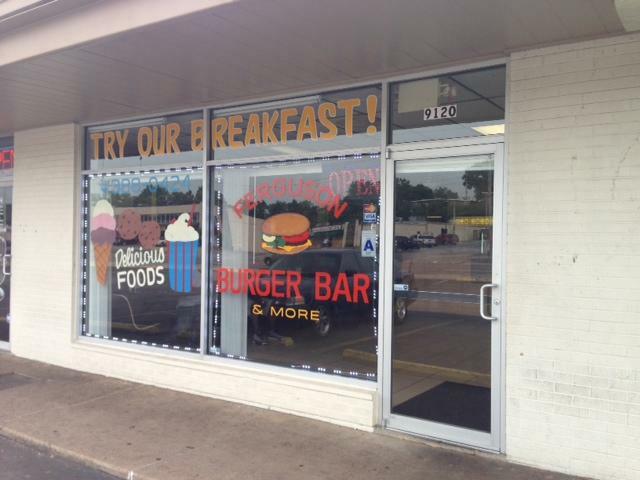 Owner Charles Davis said he opened the day before Michael Brown was shot. "Fortunately because of God, his grace and mercy, we have not been vandalized, we have not had one window broken," Davis said. "We have been able to open up every day when other businesses are closing and business has been swamped, booming. So, I guess it’s a bittersweet." Davis said he’s praying for the unrest to end, in part, so other businesses can get back to normal. But even after protestors leave West Florissant Avenue, the area may not be out of economic danger. Ronald Jackson, chairman of the Black Leadership Roundtable Board, pointed to what happened in neighborhoods that witnessed riots in the 1960s. "The areas where the riots took place never recovered. I mean they were shells, so there has to be an active, participatory effort to work with those business people up there to encourage them to stay there," Jackson said. That type of support would be welcomes by Triondus Sleet, the owner of the beauty salon. She said the two credit union officials are the only community members who have stopped by. Not even the property owner has called. "It’s hard," she said. "If I could pack up and leave, I would, but it’s not that easy." After 11 years in business here, Sleet said she’s not certain how much longer she can hold out.